This craft beer and food pairing event just became a festival for the masses rather than for the few. Check out the details below on an upcoming November event in Denver where up to 500 people are expected to participate. [PRESS RELEASE] - Move over wine, the Craft Beer movement is in full force. 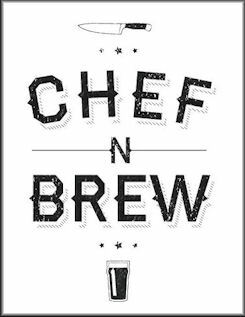 The Chef and Brew Festival, happening November 15th at The Oriental Theater, is taking this movement to the next level. Twelve of Denver’s top Chefs and twelve of the city’s best Brewers will be challenged to celebrate and create the ultimate beer and food pairings. Guest will then have the opportunity to vote for the Overall Winner. 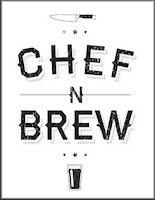 The mission of Chef and Brew is two-fold. First, we will create an evening of fun and festivities for beer connoisseurs and food-lovers alike. We also hope to introduce our guests to the myriad of food pairing qualities of beer and demonstrate that it can equal, or outperform wine as a synergistic beverage. “Chefs and brewers are incredibly creative people and we really wanted to channel that in the festival format,” says Mike Burns, one of the festival organizers. Craft Beer is finally starting to take the main stage at the dinner table with many craft beers delivering as much if not more complexity than wine. About 500 festival attendees are expected, making this a more intimate festival experience. Beer and Food will be served in a tasting format, 2oz beer pours paired with an appetizer from each chef. Guests will receive a souvenir festival tasting glass with full access to the beer and food once inside. Elise Wiggins – Panzano, paired with Prost Brewing. Troy Guard – TAG Burger, paired with Wit’s End Brewing. Sheila Lucero – Jax Denver, paired with Funkwerks. Jensen Cummings - Row14, paired with Caution: Brewing. Chris Cina – Ghost Plate and Tap, paired with Breckenridge Brewing. Brendon Doyle – City O’ City, paired with River North Brewing. Jay Leandro – Pub 17, paired with Crooked Stave. Travis Masar – Uncle, paired with Hogshead Brewery. Victoria Vittori – Crock Spot, paired with Strange Brewing. Sean McGaughey – Aria/Opus, paired with West Flanders Brewing. Taylor Drew – Russel’s Smokehouse, paired with Elevation Beer Company. Cory Treadway – Wynkoop, paired with Wynkoop Brewing. Where: The Oriental Theater 4335 West 44th Ave., Denver, CO.
- 2012 GABF Wrap Up in Pictures. - November 2012 Colorado Beer Festivals & Events Calendar. - December 2012 Colorado Beer Festivals & Events Calendar.